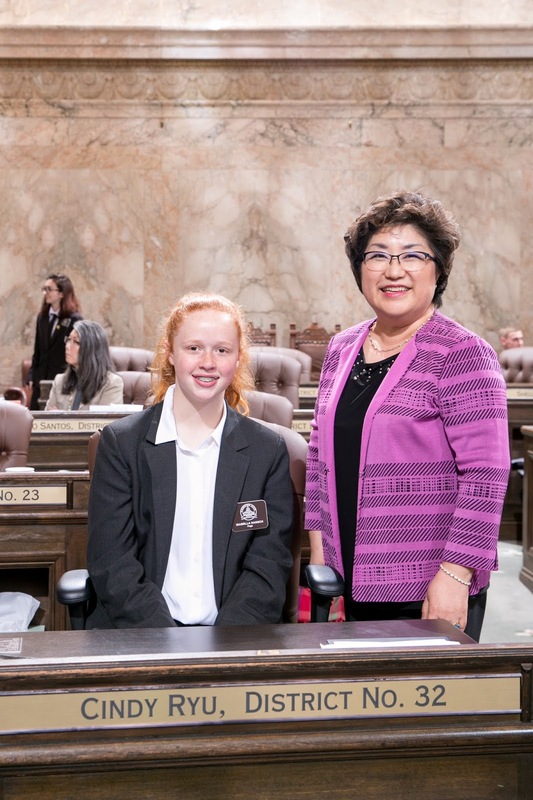 OLYMPIA – Isabella Hansch, a student at St. Luke School, served as a page this week in the Washington State House of Representatives. Sponsored by State Rep. Cindy Ryu (D-Shoreline), Isabella is the daughter of Suzy and Chris Hansch of Shoreline. Pages assume a wide variety of responsibilities, from presenting the flags to distributing amendments on the House floor. Pages support the efficient operation of the Legislature while also receiving daily civics instruction, drafting their own bills, and participating in mock committee hearings.